Did he want his invitation? In the Haftorah on Parashas Chayai Sarah,the beginning of Sefer Melochim,the pessukim describe Adoniyohu's failed attempt to get the throne. Nathan Hanovi complains to David Ha'Melech about how all were invited to his feast and he and Shlomo were not invited. We see that he too understands that he took it personal when he wasn't invited as if he has something against him which gave him to reason to fear that he wants to do him bad.We differ in that he continues that he feared and i am just leaving it by the insult. My question is now did he need אדוניה to approve of him? Was he really in dire need of that invitation? It was a way of showing that Adoniyahu was trying to take over the kingship improperly. Natan was the navi who would have stopped the attempt by declaring what Hashem wanted and Shlomo was the actual heir whose position was being usurped. This showed that Adoniyahu knew that he was not supposed to be the heir even though he was now the eldest. And Adoniahu the son of Haggith exalted himself saying: 'I will be king,' and he made for himself chariots and horsemen and fifty men to run before him. From the word אֶמְלֹ֑ךְ we see that he learned from Avshalom and carefully did not attempt to overthrow his father. Instead in arranged for everyone to assume that he was the heir as the oldest surviving son of King David. And his father had not angered him all his days saying, "Why have you done so?" And he too was of very handsome appearance, and she bore him after Absalom. When he invited all of the major people in the kingdom, he was very careful to do it in such a way that they would all assume that he was indeed the legitimate heir. This would mean that when King David died, he would get the crown as it would be too late for Shlomo to raise a fuss. That is why he very carefully did not notify the three people, who had they been there would have stopped him. Ralbag explicitly says that they would have objected and stopped him had they been there. And Nathan the prophet and Benaiahu and the mighty men and his brother, Solomon, he did not call. That is why King David immediately had Shlomo anointed as the next king 1:32-40 And Adoniyahu immediately gave up his attempt and acknowledged Shlomo as king. We find in Sefer Divrei Ha'Yomim 2' Perek 21' how when Yehoshofot wanted to give over the kingship (mistakenly!) to Yehoram he gave the brothers presents and some cities to be in charge of in order to eliminate jealousy. Had Nathan and Shlomo boon invited they could have come to terms and work it out peacefully by giving them some city to be in charge of perhaps. Nathan took it as an insult that they did not put any faith in him and the other great people to work things out. Not the answer you're looking for? 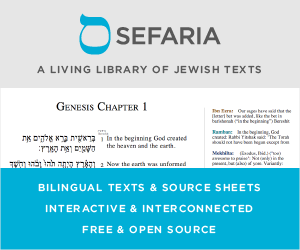 Browse other questions tagged melachim-kings-book-of haftarah parashat-chaye-sara . Why did Gechazi go first? What scriptures did Josiah discover in Kings II? King Zecharia; A Court of His Own? I Kings 21:29 “but in his son's days will I bring the evil upon his house” Where is the logic?